Appearance: The whitest background (probably even whiter than Calacatta and Statuario) with fine pink veining throughout. Properties: White Harmony marble has good mechanical and physical properties: it is strong (Compressive Strength: 1654 Kg/cm2) durable (Abrasion Resistance: 26.65 cm3/50 cm2) and frost resistant (EN 12371), making is suitable for most applications, both indoors and outdoors. 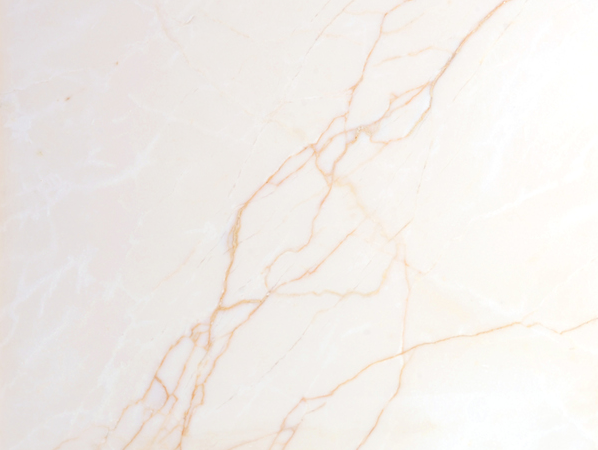 Use: Due to its excellent performance and properties, White Harmony marble is suitable for most applications, including floors, wall cladding, stairs, fireplaces, vanity tops and shower trays. Like most marbles, special care is required for kitchen worktops and other surfaces subject to acid liquids, which would take the shine off and cause discolouration. Finishes: Polished, honed and other bespoke finishes.